Multiple YouTube viewers tracking the devastating fire at the Notre-Dame Cathedral in Paris reported that live streams and news videos were displaying an information panel related to the September 11 terror attacks in the US. 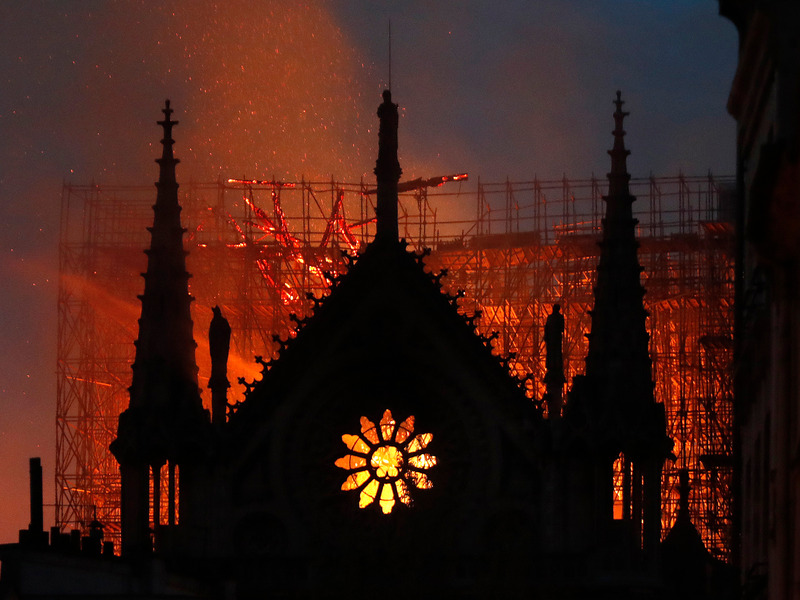 The information panels were automatically triggered as the fire at Notre-Dame Cathedral captured global attention. A New York Times investigation into how Google furnishes law enforcement with phone data exposed one crucial detail — having an iPhone doesn’t stop Google handing over your data. The in-depth investigation by the Times revealed many details about how Google uses its in-house database — called Sensorvault — to cooperate with law enforcement. Snap has burnt through an average of $68 million a month since going public in 2017 and could, in theory, run out of cash in three years unless it turns a profit. It follows a difficult period for the company, including a wildly unpopular Snapchat redesign, a delayed update for Android users, and competitors like Facebook cloning features including Stories. The EU has officially approved controversial and sweeping copyright rules by voting for the new Direction of Copyright for the Digital Single Market. That includes two controversial provisions that force sites to pay publishers for links and make social media sites liable for copyright-infringing user content. The iPhone will go into mass production in India this year, as its primary manufacturing partner Foxconn expands its operations in the country. Bloomberg reports that labour costs will be lower for Foxconn in India. Samsung is just days away from releasing its first foldable smartphone, the Galaxy Fold, which will start at $1,980 when it hits stores on April 26. A few days of use shows the device makes much more sense while used as a tablet, rather than a folded up phone, but that it’s also much thicker than people will be used to. Microsoft is reportedly developing its own wireless earbuds to compete with Apple’s AirPods. Little is known about Microsoft’s rumored wireless earbuds so far, but they could have similar functions as the company’s larger Surface Headphones that were released last year. Employees at Pinterest, which is set to have an initial public offering this week, each have an average of $700,000 in company stock, according to a report released by advertising company GroupM on Monday. The average equity held by Pinterest employees is less than was the case with Snap employees when it went public in 2017, GroupM says, but still represents a significant risk of employee turnover after the IPO.